Well it looks like the cathartic experience of reviewing my tumorous saga has come to an end. Just a brief review of where I was at the end of the last article. I had survived an embolism, I did not realise just how deadly it could have been. Another young man who was an acquaintance experienced the same thing but he passed away at the age of 27 years old. I knew the risk of using warfarin but it was necessary to keep my blood thin and not clotting. Certain foods had to be avoided, foods which kept your blood thinner were to be avoided (green leafy vegetables, grapefruit, mayonnaise, avocado etc.). From what I can remember, a count of about two is okay but lower than that is not good. That is where the blood is getting too thick and can run the risk of clotting. If the reading goes over four, it is too thin and a bruise is where you could bleed out internally. I had to go for a weekly reading where a blood sample is extracted. From the reading of the sample it can be determined whether to change the warfarin dosage or not. 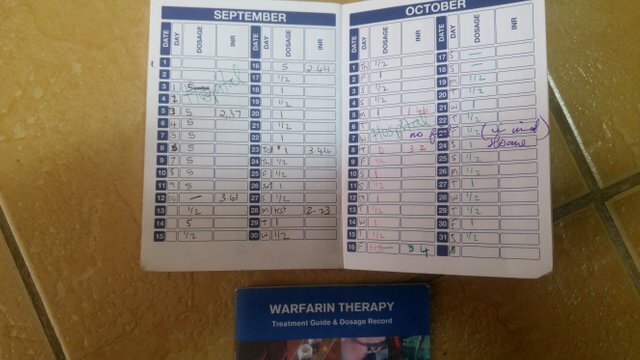 In October 2015, my specialist physician, changed my warfarin therapy provider as my readings were spiking too high and too low. This was after I had to pop back into the hospital for a while to stabilise my readings. At this stage I was still extremely unsteady on my feet, why I don’t remember but I know my family had to hold my arm as we walked around from one doctor to another. I was experiencing extreme nausea and I lost a considerable amount of weight. I could just not eat at all. If I ate half a slice of toast in a day, it was a victory. I just could not manage any more food. I was taking a liquid supplement shake of some kind or other, just to get some form of nutrient into my body. Anyway as I related in a previous article, my GP had found that my cortisone dosage was being reduced too quickly. The impact was profound on my feeling of well being. I started to feel absolutely great. My eldest child accompanied me to the hospital to get my bi-weekly warfarin reading. I was feeling so good and I walked away from my child down the sidewalk, after the reading I was going to take her for a take a way as a treat! It was the Monday reading. I can still remember what happened next so very clearly; my foot hooked in the uneven sidewalk and down I went. It all seemed in slow motion. I tried very hard to get my left foot forward but to no effect. My head hit the pavement as I could not lift my left arm up to protect my head due to the “frozen” shoulder. I just heard a loud crack. I was dazed, my ribs on the left hand side had also hit the ground very hard. I just lay there struggling to get up as I gasped for air with a desperate wheezing sound from my lungs. My daughter burst into tears as she rushed up to help me. My left leg was quite badly grazed and there was blood all over my leg. The pain in my side was enormous, I was terrified that I had broken my ribs as my bones were quite brittle now due to the cortisone. I was helped up and assisted into the hospital by my daughter. Of course due to the warfarin the bleeding was not slowing down. All the staff inside thought I was coming to casualty. Later that day I went back to my doctor, luckily no ribs were broken (I think that extra step that I got in as I was falling transferred the weight of my body to my knee more than my ribs). Due to the extreme discomfort I was feeling, she recommended plasters for my side to ease the pain. It was wonderful I could breathe quiet easily after putting the patches on. Wow, did I love those patches! I had a brainwave, if I put them on my arm with the shingles, it might make my arm feel better. And it did help too! However, when I went for the reading on the Friday, when they later phoned the results to me I went into total despair. My warfarin reading had plummeted to 1.4, my blood was at serious risk of clotting. I was filled with fear, why? My readings had become stable, what had gone wrong? I did not know what to do. Michele, my wife, started checking some ideas that came to her and she found the answer over the weekend. The patches had furbiprofin in them, it was more than twenty times stronger than ibprofine and I was forbidden to have any ibprofin, let alone furbiprofin! Feverishly I ripped the patches off. 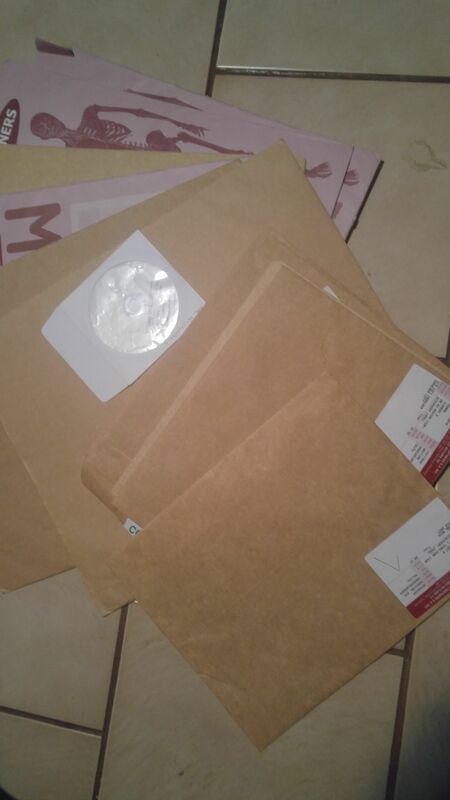 All I could do now was wait for my next reading on the following Monday. I went for the test and the results came back, 1.9. I was thrilled, I was going to be okay. The next reading on the Friday was 2.7; fantastic news. Personally I think I would have had grave complications if Michele had not successfully researched what the problem could have been. Yes, she saved my bacon, I honestly believe that. I stopped taking warfarin towards the end of December 2015. I also bit the bullet and stopped taking cortisone about that time. The stillpain took me another four or five months to stop. My GP was amazed that I was able to stop taking these addictive medications so quickly. Several years have now passed. I finally generated enough money to go for a final MRI to confirm if I was finally fixed. The MRI was much nicer as I did not have to have iodine injected into my veins. 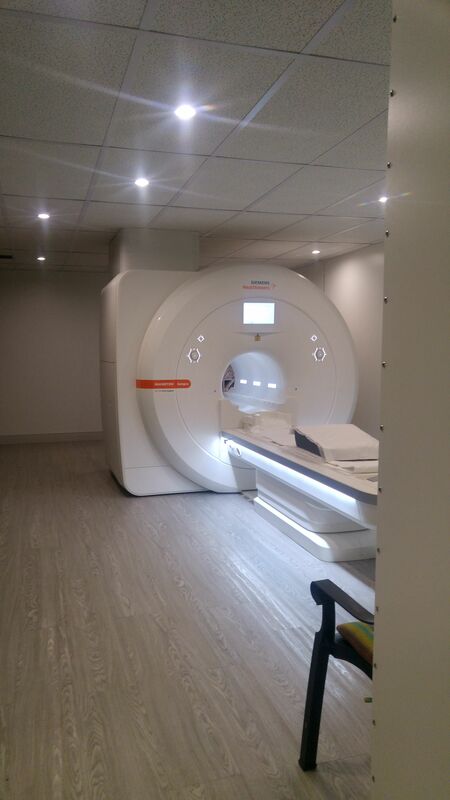 It was just long; a full hour listening to the noisy MRI machine. I went to the neurosurgeon with the results of the MRI and x-rays. A clean bill of health, no sign of the tumour. The surgery on my neck also is successful and no problems evident. 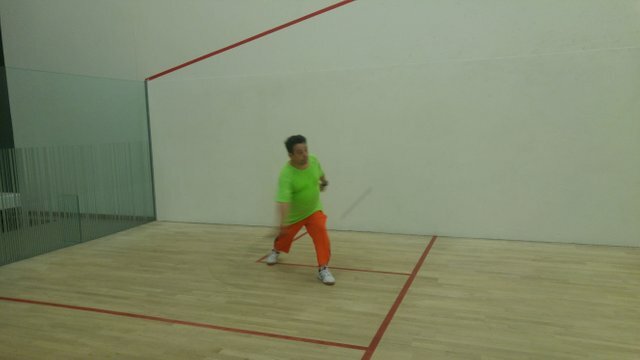 He even said I can even play squash again but just to be careful. So the journey has ended successfully. Science, medicine, faith, family support and strong determination have given me a wonderful outcome. Yes, I am still a bit clumsy on my feet, yes still tingling in both arms and hands, yes still a bit of shingles in the left arm now and then, yes I still have tinnitus ringing in my ears BUT I am alive and well. I love my wife much more and value my family. Life is precious and I do not take it for granted. Each day is a gift that I gratefully accept. I pray for you my dear friend. There can't be too many sagas to match this Fred. Excellent entries for your personal journal. You certainly have been blessed. Miracles is the word that comes to mind. Save yourself, Your Life Is 100% Your Responsibility and Make your future bigger than your Past. How glad I am for you. Now it's over. As we say "the mountain fell from the shoulder." Take care of yourself and your family. Its related of health .. Brother do not worry you will have better health and good time in future. I pray for your health. May you have a good health. I hope for your fast recovery. i am very very happy your medical reports result. thanks, I am sure many of us get miracles. The key is to be observant to see and then to be grateful. I am pretty sure that we will then get plenty miracles. You can do it!!! You will win this fight. Blessed be God, I thank you for your total recovery, so that you continue having a good life, so that you can enjoy it fully with family, friends and all of us. Amazing. You are working very hard. Your post is wonderful. I like it.thank for sharing. Renya you are a wise women! Of course, if blood is slim in the body .so it is difficult to stop blood. Great news @fred703 and I congratulate you on the excellent result, as you tried to overcome the disease and did everything to get well. You are right, your faith and support of loved ones played a major role in your history and this is the best that we have. You are well done! I’m going to go back and catch up! We care and are here!